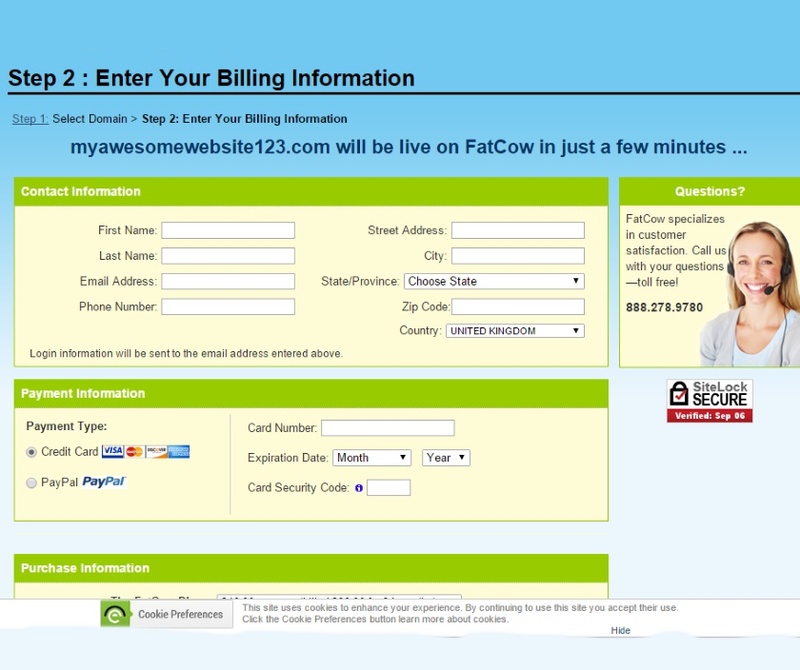 FatCow promises a “no bull” approach to web hosting, regardless of experience. Users can take advantage of some of the cheapest rates in the industry and get domain names that are available across over 300 distinct top-level domains. FatCow hosting does not have the best reputation for uptime and page load speeds, coming in at the lower end of the spectrum compared to other popular hosts. It also offers limited backup options and less choice when it comes to add-ons and extras. With that said, if you need a host that will look after you, FatCow is a good choice, with lots of support and a friendly approach—all at a very affordable price. Most positive FatCow reviews state that this platform is great for users who are less experienced when it comes to hosting, building, and maintaining a website. With very hands-on customer support, there's plenty of guidance to help you at every stage of the Web hosting and -building journey. With FatCow, restaurant owners and retail shopkeepers will find easy-to-use tools tailored to their needs. That said, this provider offers plenty of room for expansion too, with advanced plans for businesses with more serious requirements and the wherewithal to look after them properly. And by using your FatCow webmail login, you can access your email from anywhere in the world. This is FatCow's central offering and it packs plenty of punch, albeit little choice if you want a less-full service. With virtually unlimited bandwidth, website space, email accounts, FTP users, and domains, along with free domain registration for your first year, FatCow Web hosting provides more than enough space for websites of all shapes and sizes. There are also lots of decent extras including $200 of free advertising credits, plus access to Weebly's easy-to-use drag-and-drop website builder and ShopSite's online-store service. If you're setting up a WordPress blog or site, FatCow has two specialized plans to meet your needs: the WP Starter plan and the WP Essential plan. Both services come with a customizable control panel, all of the hosting features available with the Original FatCow plan, and plenty of pre-installed themes and plugins. Upgrading to the slightly pricier Essential option will give you access to expert support, faster speeds and better security. With either plan, though, you can still create and manage inboxes in FatCow’s email settings screen. Though FatCow’s technology is well-maintained and powered by wind energy for extra green credentials, not everyone is thrilled with the company. Some FatCow hosting reviews chide the company for poor uptime and slower-than-average page load speeds, but the host seems to be on top of the situation. For the technical among you, multi-GB connections, a load-balancing platform, daily server backups, and 24/7 monitoring of FatCow’s nameservers are all in place to ensure the technology is secure, speedy, and stable as possible. And if you ever experience any problems with the platform, just use your FatCow sign-in to submit a trouble ticket. With that said, at this sort of price, you'll find that you're getting more for your money in terms of hosting, even if you'd have been purchasing a very basic package from another provider—and the Original plan gives you plenty of room to grow. If you're new to web hosting and website building, FatCow is pretty good at hand- (or hoof) holding. From good customer support, to a few basic tools, there's plenty here to help out newbies. Users can choose to build sites with the simple drag-and-drop tool from Weebly, or use FatCow's specialist WordPress hosting option (complete with free themes). Interested in opening an online store? FatCow’s Ecommerce services can help get you up and running in no time. And if you need an extra-secure site, FatCow SSH access is available at an affordable rate. Email access is also a cinch to set up, thanks to the easily adjustable FatCow SMTP settings in the domain dashboard. FatCow gives you all the tools you need to build a functional site, but isn't overloaded with add-ons and tools. SEO and analytics tools are available, while a FatCow online store is useful for users getting going with Ecommerce. A range of FatCow website templates and applications are available including WordPress, Gallery2, phpBB, GBook, Joomla, plus poll, survey, and counter tools. Those with more knowledge and greater ambitions will find PHP 4 and 5 support, a CGI library, Python, and a script library all open for business. Ultimately, this is not a prime host for add-ons and extra tools. The basics are covered and with a bit of knowledge, you can squeeze more out of FatCow’s DNS servers. Overall, however, there are more versatile and intuitive options out there. FatCow’s customer service offers 24/7 support using a variety of methods. Alongside phone, email, and live chat on the website, you will find a breadth of knowledge in the extensive FatCow support knowledge base. This features FAQs as well as step-by-step tutorials. All-in-all FatCow is up there with the best when it comes to customer support, and it’s indispensable if you're new to hosting or run into a glitch. The company even has a “Heifercratic Oath” you can check out, which promises to contact you within your first seven days of use, and adhere to the highest standards of staff training and answer calls within an average of one minute every day. Find yourself needing a hand? The FatCow phone number is (888) 278-9780. Web hosting isn’t always cheap, and although this company definitely has some affordable options, you can usually save a few more bucks by using a FatCow coupon code at checkout. When you use your favorite search engine to track down a FatCow coupon, you can significantly slash your hosting bill—at least for the first year. And even when it comes time to renew your services, you can usually take advantage of one of FatCow’s discounts by re-upping your plan early and for several years in advance. One of the perks of using this host is that they toss in some freebies when you sign up for a hosting account. 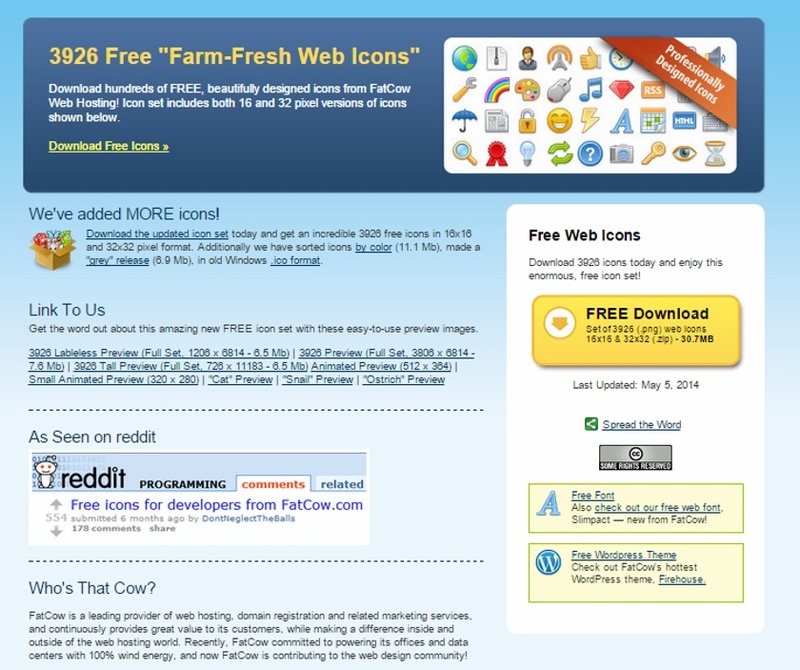 For instance, you can score a FatCow free domain with nearly all of the plans offered on this platform. And even if you don’t pay for any of the server plans, you can still take advantage of a month-long free trial of the company’s website builder—without having to enter any credit card info! Although this company doesn’t use the traditional cPanel back-end interface that many other hosts use, the proprietary FatCow control panel is every bit as good as its near-ubiquitous counterpart. Experienced webmasters will find all of features and functions that they’re familiar with, whereas first-time site owners should have no problems navigating the straightforward FatCow menu. All of your site’s settings are easy to adjust at any time. 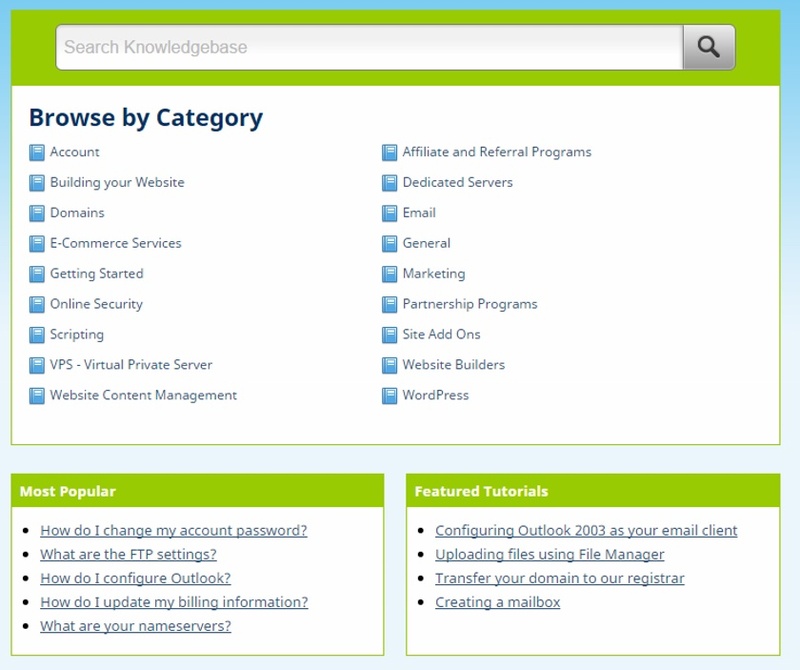 Just by using your FatCow login, control panel access is a click away. 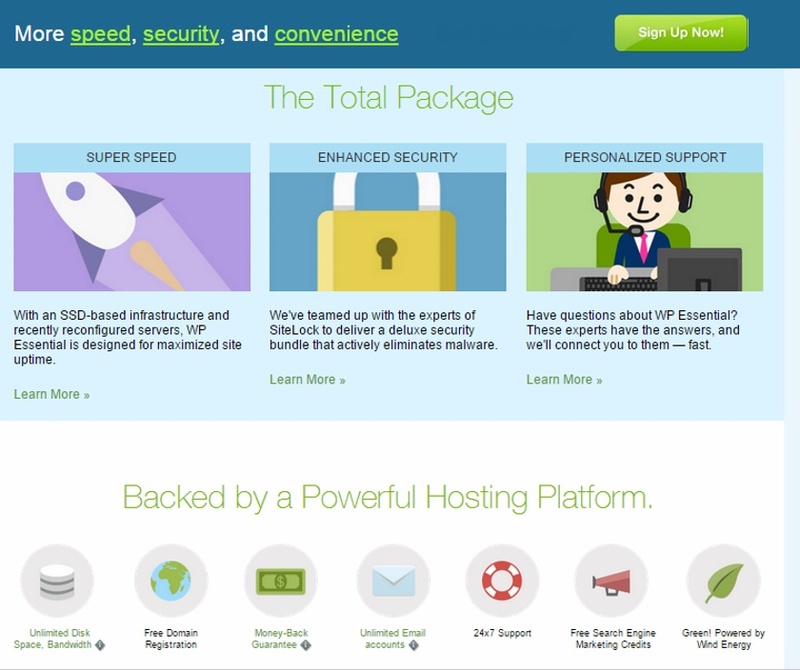 Are you looking for the power of a dedicated host, without the high price tag that usually comes with it? If so, a FatCow VPS could be exactly what you need. Virtual private servers aren’t tied to any particular piece of hardware, and instead rely on a network of connected machines to keep websites online and able to handle large amounts of traffic. Most new business owners don’t need a VPS right out of the gate, but more mature businesses with larger customer bases might find a VPS to be the perfect solution for them. Due to their affordability, shared hosting plans are the most popular choice for many first-time webmasters still getting their bearings when setting up shop on the World Wide Web. FatCow has a variety of shared hosting plans that allow multiple parties to split the cost of maintaining a server, so the non-tech-savvy can spend more time focusing on their business, and less time learning a bunch of technical jargon and processes. If you’ve been in business for a while, though, or if your business is fortunate enough to have achieved rapid growth at an early stage, dedicated hosting options may be a better fit for you, as they have better track record for handling high amounts of traffic. FatCow’s dedicated hosting plans are ideal for business owners who need to harness all of the power that a server has to offer. With dedicated hosting, you don’t have to share any of your business’s technological resources with other enterprises, meaning that your website will often load more quickly and remain more secure. The downside of dedicated hosting is that it’s more expensive than shared plans, and the onus of maintenance often rests squarely upon the shoulders of user, rather than the hosting company. But if your needs are greater than the average small business, and if you don’t mind taking on the learning curve that comes along with dedicated servers, FatCow’s options are definitely worth considering. In addition to its dedicated, shared, and VPS plans, FatCow also offers cloud hosting, which gives users the ability to host their websites via a distributed network of load-balanced servers. Most professionals consider cloud hosting to be more reliable than shared or dedicated options, because there’s no single point of failure that could lead a site to crash. On the other hand, the lack of a centralized server is a drawback in some users’ eyes. For the most part, though, many new business owners are impressed by FatCow’s cloud hosting plans. Managing messages is easy thanks to the many options you have with FatCow mail. Check your inbox anytime, anywhere, by using any Internet-connected device to access the FatCow webmail interface. Or, if you prefer using an email client such as Microsoft Outlook, it’s a breeze to keep everything in sync by entering your FatCow email login in your inbox’s settings. In either case, you can send and receive messages on your own terms when you establish an account with this user-friendly host. According to many FatCow Web hosting reviews, great customer service, highly competitive pricing, and an approachable ethos make it a well-liked website host. There's enough here to do what you need, and plenty of help and guidance to make it all happen. However, some FatCow user reviews attest that tools and options are slightly limited and that this is not the best service if you're looking for consistently fast loading times or 100% uptime. Moneywise, though, this provider's plans will be “moosic” to your ears.